The unseemly haste of the recently elected Democratic Party majority on the Pennsylvania Supreme Court has undermined the impact of a path breaking decision to void Pennsylvania’s current congressional district map as an unconstitutional political gerrymander under the State Constitution. The four votes in favor of the decision in League of Women Voters v. Commonwealth [PDF] were cast by three Democratic Justices elected in a partisan judicial election in November, 2015-Christine Donohue, Kevin Dougherty and David Wecht-joined by holdover Democratic Justice Debra Todd. Another Democrat on the Court, Max Baer, concurred [PDF] in the judgment, dissenting from the timetable set out in the order and on other grounds. The Republicans on the Court, Chief Justice Thomas Saylor and Sallie Mundy, both [PDF] dissented [PDF]. Currently, Pennsylvania may have the most perfectly gerrymandered congressional map in America. The Congressional Redistricting Act of 2011, referred to in the opinion as the 2011 Plan, has yielded the same 13-5 Republican/Democratic congressional delegation split in the three congressional elections that have used it. This pattern held even though the Republican share of the overall State vote for the House of Representatives has ranged from 49.2% in 2012 to 55.5% and 54.1% in 2014 and 2016, respectively, and the Democratic share has ranged from 50.8% in 2012 to 44.5% in 2014 and 45.9% in 2016. Barring the equivalent of a political earthquake, the result would have been exactly the same in 2018. In Pennsylvania, you don’t actually have to hold a congressional election. You can just anoint the winners. The majority held that Section 5 requires assessment of congressional vote dilution claims by the neutral and objective criteria of “compactness, contiguity, minimization of the division of political subdivisions, and maintenance of population equality among congressional districts,” which are traditionally used in assessing the constitutionality of Pennsylvania legislative districting plans. The majority added that these factors constitute a “‘floor'” and that a congressional districting plan could minimally comply with these criteria and yet still “unfairly dilute the power of a particular group’s vote for a congressional representative.” Because the “neutral criteria were subordinated to the pursuit of partisan political advantage” in the 2011 Plan, it could be struck down without consideration of how a different kind of gerrymandering claim might be made out in the future. The majority opinion in the case was issued on February 7, 2018. But the holding was announced earlier, in a per curiam order [PDF] on January 22, 2018. That order held the 2011 Plan unconstitutional, set forth the neutral criteria described above, and directed that if the General Assembly and the Governor could not agree on a new plan by February 15, 2018, the Court would itself draft a congressional redistricting plan that would control the 2018 election cycle. Chief Justice Saylor and Justice Mundy dissented from the order and Justice Baer dissented in part. The order was denounced by Republicans as an unconstitutional, partisan judicial usurpation. On January 26, 2018, the legislative defendants, President of the Senate, Michael Turzai, and Speaker of the House, Joseph Scarnati III, filed an emergency application for a stay [PDF] with the United States Supreme Court, which was denied on February 5, 2018. Mr. Scarnati later refused by letter to turn over election data to the Pennsylvania Supreme Court “[i]n light of the unconstitutionality of the court’s Orders and the Court’s plain intent to usurp the General Assembly’s constitutionally delegated role of drafting Pennsylvania’s congressional districting plan… .” This reaction obscured consideration of gerrymandering in a fog of partisan recriminations. That partisan reaction was not inevitable. It was clear from Chief Saylor’s dissent, joined by Justice Mundy, that, under other circumstances, he might have found the 2011 Plan unconstitutional. Chief Justice Saylor objected in major part to the process through which the decision unfolded, especially-and here Justice Baer agreed-the decision to apply a new congressional districting plan to the 2018 election cycle. That timetable amounted to a disruptive interference with an election campaign already well underway and precluded thoughtful consideration of either a new plan, or the legal standard that should be applied in evaluating gerrymandering claims. The rush by the majority to decide the gerrymandering issue and apply the decision in 2018 was apparent early in the litigation. Although the case could have been brought any time after the 2012 general election, it was filed in Commonwealth Court on June 15, 2017, less than a year before the scheduled May 15, 2018 primary elections. In the normal course of litigation, that filing date by itself would have precluded application of a new congressional map in 2018. Then, on October 16, 2017, after oral argument in Gill v. Whitford [PDF], the Wisconsin political gerrymander case brought on federal equal protection grounds, Judge Dan Pellegrini granted a stay of proceedings pending the U.S. Supreme Court’s decision in that case. That stay was reasonable, even given the purely State law theories of the petitioners, because the major precedent interpreting Art. I, Section 5 in a political gerrymandering context, Erfer v. Commonwealth, had specifically held that the provision granted no greater protection than does the federal Equal Protection Clause. Despite this substantial basis for the stay, the Pennsylvania Supreme Court on November 9, 2017 granted petitioners’ application for extraordinary relief-the Court’s famed King’s Bench power [PDF] assumed plenary jurisdiction of the case, dissolved the stay and remanded to Commonwealth Court with directions to conduct discovery, pre-trial and trial proceedings in order “to create an evidentiary on which Petitioners’ claims may be decided,” by December 31, 2017. Chief Justice Saylor and Justices Baer and Mundy dissented. Given that extraordinarily compressed timetable, it was obvious that a four-Justice majority had already decided to abrogate Erfer, find the 2011 Plan unconstitutional and substitute a new plan for use in 2018. The decision by the majority in League of Women Voters to apply a new districting plan in 2018 has been widely praised in the media by law professors and other legal experts. But this praise is short-sighted. It fails to appreciate how political gerrymandering must be combatted. It has often been pointed out, in defending the Constitution from the charge that it is anti-democratic, that the framers were more interested in protecting rights from majorities than they were in promoting democracy. That is certainly true. But, because of the structural advantages in the Electoral College and in the U.S. Senate, and because of successful gerrymandering, America is now faced with the prospect of more or less permanent, and certainly persistent, minority Party rule. That prospect, plus a new willingness on the part of both major political Parties to enact important policy initiatives with no input from the other Party, means that American democratic legitimacy is seriously in question. The right of self-government cannot be protected unless Americans of all political persuasions agree that the composition of the House of Representatives must basically reflect the national congressional vote. Gerrymandering is morally and politically wrong because it prevents self-government. But, gerrymandering will not be abolished until its unrighteousness is acknowledged in a national consensus without regard to Party. Given political realities, to begin a candid national conversation about gerrymandering, it was necessary for the Republican Chief Justice to join in the decision that the 2011 Plan was unconstitutional. His agreement would have altered the political context both here in Pennsylvania and nationally. And a unanimous decision, even if it had taken an additional year to forge, would really have gained national attention. Instead, the impatience of the four-Justice majority precluded that outcome and ensured that consideration of gerrymandering would founder in our current partisan political paralysis. As of Friday, February 10, 2018, it was unclear how the case would ultimately turn out. The Republican leadership had drafted a new congressional districting map that certainly came closer to satisfying the neutral criteria required by the Court. 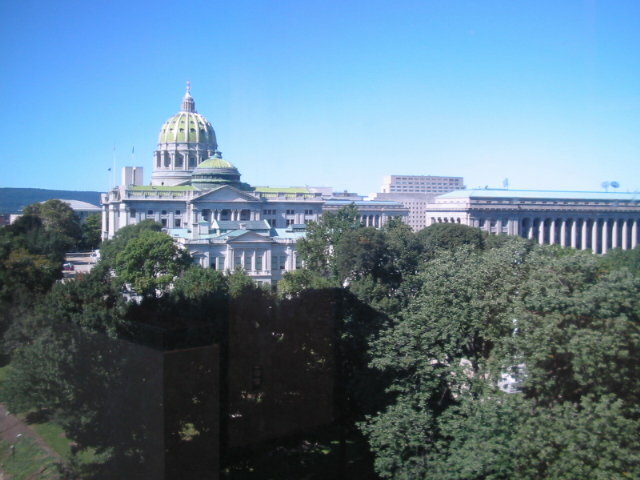 Democratic Governor Tom Wolf was considering the new plan. Whether that plan is accepted, or the Court imposes one of its own, and whatever the political fallout of that action might be, one conclusion is certain. The decision by a bare majority of the Pennsylvania Supreme Court to press its advantage and forge ahead, although a victory against gerrymandering in the short run, has sabotaged formation of the broad-based consensus that is needed to address gerrymandering and numerous other national problems. Bruce Ledewitz is Professor of Law at Duquesne University School of Law. He has written widely in academic publications and popular media on matters of State and federal constitutional law. He directs the Pennsylvania Constitution Website at Duquesne and teaches a course in Pennsylvania State Constitutional Law.